Hall of Famer Reggie Jackson won the 1973 and 1977 World Series MVPs. Jackson hit five home runs in the 1977 World Series, and took the nickname "Mr. October". The World Series Most Valuable Player (MVP) Award is given to the player deemed to have the most impact on his team's performance in the World Series, which is the final round of the Major League Baseball (MLB) postseason. The award was first presented in 1955 as the SPORT Magazine Award, but is now decided during the final game of the Series by a committee of reporters and officials present at the game. The series follows a best-of-seven playoff format, and occurs after the Division Series and the League Championship Series (LCS). It is played by the winners of the National League Championship Series (NLCS) and the American League Championship Series (ALCS). The most recent champions are the Chicago Cubs, who won in the 2016 World Series. Pitchers have been named Series MVP twenty-seven times; four of them were relief pitchers. Twelve of the first fourteen World Series MVPs were won by pitchers; from 1969 until 1986, the proportion of pitcher MVPs declined—Rollie Fingers (1974) and Bret Saberhagen (1985) were the only two pitchers to win the award in this period. From 1987 until 1991, all of the World Series MVPs were pitchers, and, since 1995, pitchers have won the award nine times. Bobby Richardson of the 1960 New York Yankees is the only player in World Series history to be named MVP despite being on the losing team. Don Larsen won the World Series MVP in the 1956 World Series with the New York Yankees. Larsen is the only pitcher to pitch a perfect game in World Series history. Hall of Famer Brooks Robinson won the 1970 World Series MVP Award. 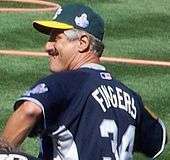 Hall of Famer Rollie Fingers won the 1974 World Series MVP with the Oakland Athletics. Pete Rose won the 1975 World Series MVP with the Cincinnati Reds, and became the second third baseman to win the award. 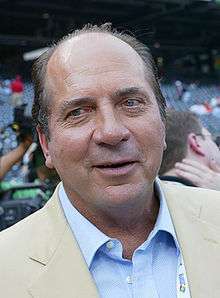 Hall of Famer Johnny Bench won the World Series MVP in the 1976 World Series. 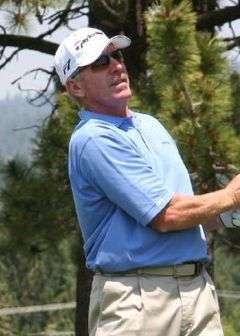 Hall of Famer Mike Schmidt won the 1980 World Series MVP with the Philadelphia Phillies. 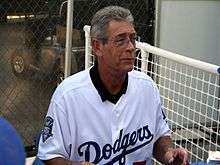 Steve Yeager was one of the three 1981 World Series MVPs for the Los Angeles Dodgers. 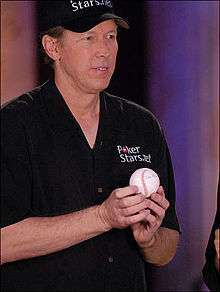 Orel Hershiser won the NL Cy Young Award, the NLCS MVP and the World Series MVP in the 1988 season. Dave Stewart won the 1989 World Series MVP with the Oakland Athletics. 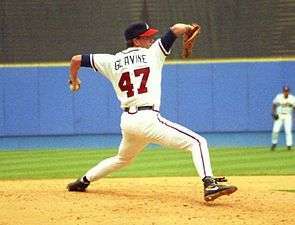 Tom Glavine won the World Series MVP in the 1995 World Series with the Atlanta Braves. Mariano Rivera won the 1999 World Series MVP with the New York Yankees. Randy Johnson (top) and Curt Schilling shared the World Series MVP Award in 2001. 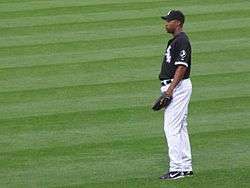 Jermaine Dye won the World Series MVP in 2005 World Series with the Chicago White Sox. Mike Lowell won the World Series MVP in the 2007 World Series with the Boston Red Sox. 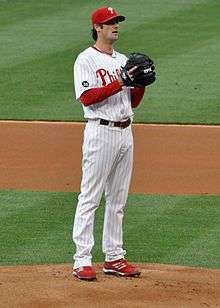 Cole Hamels, the 2008 World Series Most Valuable Player (MVP). In 2009, Hideki Matsui became the first Japanese-born player, as well as the first full-time designated hitter, to win the award. Pablo Sandoval was MVP in 2012 for the San Francisco Giants. Johnny Podres won the inaugural award in 1955 with the Brooklyn Dodgers. Podres, with nine wins and ten losses during the regular season, beat the Yankees twice in the series; both victories were complete games. Don Larsen won the 1956 World Series MVP after pitching the only no-hitter in World Series history, in the fifth game of the series; the no-hitter was also a perfect game. Bobby Richardson won the 1960 World Series MVP while playing for the losing team in the series, the New York Yankees, and had 12 runs batted in, a World Series record; he is also the only second baseman to win the World Series MVP. Depending upon definitions, the first non-American to win the award was either Roberto Clemente in 1971 or Pedro Guerrero in 1981. In 1977, Reggie Jackson hit three home runs in the deciding game, taking the nickname "Mr. October", in which October is the month of the MLB postseason; Jackson had a total of five home runs in the series, a World Series record. Willie Stargell won the 1979 World Series MVP at the age of 39, and is the oldest World Series MVP. In 1996, John Wetteland won the World Series MVP, setting a World Series record with four saves. Fourteen World Series MVPs were inducted into the Baseball Hall of Fame; Paul Molitor (1993), Tom Glavine (1995), and Randy Johnson (2001) are the only Hall of Famers to have won the World Series MVP since 1981. Molitor is also the first designated hitter to win the World Series MVP. Hideki Matsui, the 2009 winner, batted in six runs in the sixth game of the 2009 World Series, tying Richardson's record of most runs batted in for a single World Series game. 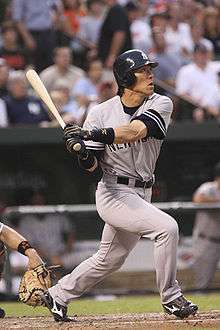 Matsui became the first Japanese-born player to win the award, as well as the first player to win it as a full-time designated hitter. He is also the only player named both a World Series and a Japan Series MVP. 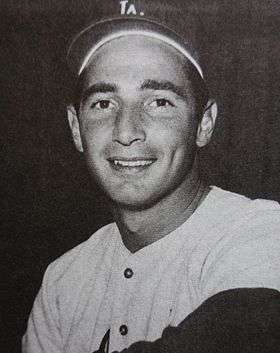 Hall of Famer Sandy Koufax won the award twice. Three players have won the award twice: Sandy Koufax (1963, 1965), Gibson (1964, 1967), and Jackson (1973, 1977); Jackson is the only player to have won the award with two different teams. There have been two occasions on which multiple winners were awarded in the same World Series: Ron Cey, Pedro Guerrero, and Steve Yeager in 1981, and Johnson and Schilling in 2001. The duo of Johnson and Schilling combined for all four of Arizona's wins in the 2001 World Series; Johnson had three of them. Twelve of the fifty-eight World Series MVPs have also won the MLB MVP, the Cy Young Award, or the LCS MVP in the same season. Koufax (1963), Frank Robinson (1966), Jackson (1973), Stargell, and Mike Schmidt (1980) are the only players to have won the MLB MVP and the World Series MVP. 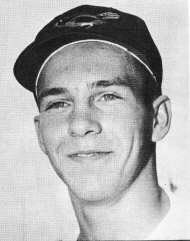 A total of six players won the Cy Young Award and the World Series MVP in the same season: Bob Turley (1958), Whitey Ford (1961), Koufax (1963, 1965), Bret Saberhagen (1985), Orel Hershiser (1988), and Johnson (2001). Seven players have won the World Series MVP in the same season in which they won the LCS MVP: Stargell (1979), Darrell Porter (1982), Hershiser (1988), Liván Hernández (1997), Cole Hamels (2008), David Freese (2011), and Madison Bumgarner (2014)—all of them were the NLCS MVPs. Koufax (1963) is the only person to have won the Cy Young Award, the MLB MVP, and the World Series MVP in the same season, while Stargell (1979) is the only person to have won the MLB MVP, the LCS MVP and the World Series MVP in the same season. Hershiser (1988) won the Cy Young Award, the LCS MVP and the World Series MVP in the same season. The 2015 All Star Game was the first time in history book ended World Series MVPs faced each other in a pitcher vs batter setting in an All Star Game in between the series they won their MVP in. When Madison Bumgarner faced Salvador Perez in the 4th inning. Bumgarner was the 2014 World Series MVP, Perez making the last out of that series vs Madison , While Perez went on to be the 2015 World Series MVP. Perez struck out but reached first due to a passed ball. "World Series History: Most Valuable Players". Major League Baseball. Retrieved October 3, 2009. "Post-Season Awards & All-Star Game MVP Award Winners". Baseball-Reference. Sports Reference, LLC. Retrieved September 24, 2009. "Playoff and World Series Stats". Baseball-Reference. Sports Reference, LLC. Retrieved September 24, 2009. 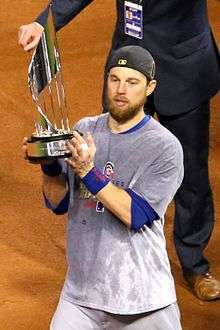 ↑ "World Series Most Valuable Player Award". Baseball Almanac. Retrieved November 7, 2009. ↑ Gillette, Gary; Palmer, Pete, eds. (2006). The 2006 ESPN Baseball Encyclopedia. Sterling. p. 1656. ISBN 1-4027-3625-8. Retrieved October 8, 2009. ↑ Vass, George (January 1, 1994). "Major League Baseball Embarks on a New Era in '94". Baseball Digest. Lakeside Publishing Company. 53 (1): 40–45. ISSN 0005-609X. Retrieved September 4, 2009. 1 2 "1955 World Series". Baseball-Reference. Sports Reference, LLC. Retrieved September 20, 2009. ↑ "1956 World Series: Game 5". Major League Baseball. Retrieved September 25, 2009. ↑ "1956 World Series". Baseball-Reference. Sports Reference, LLC. Retrieved September 20, 2009. ↑ "1957 World Series". Baseball-Reference. Sports Reference, LLC. Retrieved September 20, 2009. ↑ "1958 World Series". Baseball-Reference. Sports Reference, LLC. Retrieved September 20, 2009. ↑ "1959 World Series". Baseball-Reference. Sports Reference, LLC. Retrieved September 20, 2009. ↑ "1960 World Series". Baseball-Reference. Sports Reference, LLC. Retrieved September 20, 2009. ↑ "1961 World Series". Baseball-Reference. Sports Reference, LLC. Retrieved September 20, 2009. ↑ "1962 World Series". Baseball-Reference. Sports Reference, LLC. Retrieved September 20, 2009. ↑ "1963 World Series". Baseball-Reference. Sports Reference, LLC. Retrieved September 20, 2009. ↑ "1964 World Series". Baseball-Reference. Sports Reference, LLC. Retrieved September 20, 2009. ↑ "1965 World Series". Baseball-Reference. Sports Reference, LLC. Retrieved September 20, 2009. ↑ "1966 World Series". Baseball-Reference. Sports Reference, LLC. Retrieved September 20, 2009. ↑ "1967 World Series". Baseball-Reference. Sports Reference, LLC. Retrieved September 20, 2009. ↑ "1968 World Series". Baseball-Reference. Sports Reference, LLC. Retrieved September 20, 2009. ↑ "1969 World Series". Baseball-Reference. Sports Reference, LLC. Retrieved September 20, 2009. ↑ "1970 World Series". Baseball-Reference. Sports Reference, LLC. Retrieved September 20, 2009. ↑ "1971 World Series". Baseball-Reference. Sports Reference, LLC. Retrieved September 20, 2009. ↑ "1972 World Series". Baseball-Reference. Sports Reference, LLC. Retrieved September 20, 2009. ↑ "1973 World Series". Baseball-Reference. Sports Reference, LLC. Retrieved September 20, 2009. ↑ "1974 World Series". Baseball-Reference. Sports Reference, LLC. Retrieved September 20, 2009. ↑ "1975 World Series". Baseball-Reference. Sports Reference, LLC. Retrieved September 20, 2009. ↑ "1976 World Series". Baseball-Reference. Sports Reference, LLC. Retrieved September 20, 2009. ↑ "1977 World Series". Baseball-Reference. Sports Reference, LLC. Retrieved September 20, 2009. ↑ "1978 World Series". Baseball-Reference. Sports Reference, LLC. Retrieved September 20, 2009. ↑ "1979 World Series". Baseball-Reference. Sports Reference, LLC. Retrieved September 20, 2009. ↑ "1980 World Series". Baseball-Reference. Sports Reference, LLC. Retrieved September 20, 2009. 1 2 3 4 "1981 World Series". Baseball-Reference. Sports Reference, LLC. Retrieved September 20, 2009. ↑ "1982 World Series". Baseball-Reference. Sports Reference, LLC. Retrieved September 20, 2009. ↑ "1983 World Series". Baseball-Reference. Sports Reference, LLC. Retrieved September 20, 2009. ↑ "1984 World Series". Baseball-Reference. Sports Reference, LLC. Retrieved September 20, 2009. ↑ "1985 World Series". Baseball-Reference. Sports Reference, LLC. Retrieved September 20, 2009. ↑ "1986 World Series". Baseball-Reference. Sports Reference, LLC. Retrieved September 20, 2009. ↑ "1987 World Series". Baseball-Reference. Sports Reference, LLC. Retrieved September 20, 2009. ↑ "1988 World Series". Baseball-Reference. Sports Reference, LLC. Retrieved September 20, 2009. ↑ "1989 World Series". Baseball-Reference. Sports Reference, LLC. Retrieved September 20, 2009. ↑ "1990 World Series". Baseball-Reference. Sports Reference, LLC. Retrieved September 20, 2009. ↑ "1991 World Series". Baseball-Reference. Sports Reference, LLC. Retrieved September 20, 2009. ↑ "1992 World Series". Baseball-Reference. Sports Reference, LLC. Retrieved September 20, 2009. ↑ "1993 World Series". Baseball-Reference. Sports Reference, LLC. Retrieved September 20, 2009. ↑ Bryant, Howard (2005). Juicing the Game. Penguin Group. p. 53. ISBN 0-670-03445-2. ↑ "1995 World Series". Baseball-Reference. Sports Reference, LLC. Retrieved September 20, 2009. ↑ "1996 World Series". Baseball-Reference. Sports Reference, LLC. Retrieved September 20, 2009. ↑ "1997 World Series". Baseball-Reference. Sports Reference, LLC. Retrieved September 20, 2009. ↑ "Livan Hernandez Statistics and History". Baseball-Reference. Sports Reference, LLC. Retrieved November 6, 2009. ↑ "1998 World Series". Baseball-Reference. Sports Reference, LLC. Retrieved September 20, 2009. ↑ "1999 World Series". Baseball-Reference. Sports Reference, LLC. Retrieved September 20, 2009. ↑ "Mariano Rivera Statistics and History". Baseball-Reference. Sports Reference, LLC. Retrieved November 6, 2009. ↑ "2000 World Series". Baseball-Reference. Sports Reference, LLC. Retrieved September 20, 2009. ↑ "Derek Jeter Statistics and History". Baseball-Reference. Sports Reference, LLC. Retrieved November 6, 2009. 1 2 3 "2001 World Series". Baseball-Reference. Sports Reference, LLC. Retrieved September 20, 2009. 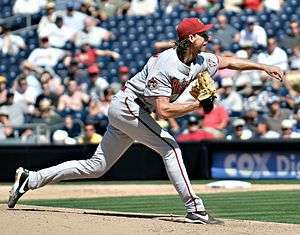 ↑ "Randy Johnson Statistics and History". Baseball-Reference. Sports Reference, LLC. Retrieved November 6, 2009. ↑ "Curt Schilling Statistics and History". Baseball-Reference. Sports Reference, LLC. Retrieved October 31, 2013. ↑ "2002 World Series". Baseball-Reference. Sports Reference, LLC. Retrieved September 20, 2009. ↑ "Troy Glaus Statistics and History". Baseball-Reference. Sports Reference, LLC. Retrieved November 6, 2009. ↑ "2003 World Series". Baseball-Reference. Sports Reference, LLC. Retrieved September 20, 2009. ↑ "Josh Beckett Statistics and History". Baseball-Reference. Sports Reference, LLC. Retrieved November 6, 2009. ↑ "2004 World Series". Baseball-Reference. Sports Reference, LLC. Retrieved September 20, 2009. ↑ "Manny Ramirez Statistics and History". Baseball-Reference. Sports Reference, LLC. Retrieved November 6, 2009. ↑ "2005 World Series". Baseball-Reference. Sports Reference, LLC. Retrieved September 20, 2009. ↑ "Jermaine Dye Statistics and History". Baseball-Reference. Sports Reference, LLC. Retrieved November 6, 2009. ↑ "2006 World Series". Baseball-Reference. Sports Reference, LLC. Retrieved September 20, 2009. ↑ "David Eckstein Statistics and History". Baseball-Reference. Sports Reference, LLC. Retrieved November 6, 2009. ↑ "2007 World Series". Baseball-Reference. Sports Reference, LLC. Retrieved September 20, 2009. ↑ "Mike Lowell Statistics and History". Baseball-Reference. Sports Reference, LLC. Retrieved November 6, 2009. ↑ "2008 World Series". Baseball-Reference. Sports Reference, LLC. Retrieved September 20, 2009. ↑ "Cole Hamels Statistics and History". Baseball-Reference. Sports Reference, LLC. Retrieved November 6, 2009. ↑ "2009 World Series". Baseball-Reference. Sports Reference, LLC. Retrieved November 6, 2009. ↑ "Hideki Matsui Statistics and History". Baseball-Reference. Sports Reference, LLC. Retrieved November 6, 2009. ↑ "2010 World Series". Baseball-Reference. Sports Reference, LLC. Retrieved October 31, 2013. ↑ "Edgar Renteria Statistics and History". Baseball-Reference. Sports Reference, LLC. Retrieved October 31, 2013. ↑ "2011 World Series". Baseball-Reference. Sports Reference, LLC. Retrieved October 31, 2013. ↑ "David Freese Statistics and History". Baseball-Reference. Sports Reference, LLC. Retrieved October 31, 2013. ↑ "2012 World Series". Baseball-Reference. Sports Reference, LLC. Retrieved October 31, 2013. ↑ "Pablo Sandoval Statistics and History". Baseball-Reference. Sports Reference, LLC. Retrieved October 31, 2013. ↑ "2013 World Series". Baseball-Reference. Sports Reference, LLC. Retrieved October 31, 2013. ↑ "David Ortiz Statistics and History". Baseball-Reference. Sports Reference, LLC. Retrieved October 31, 2013. ↑ "David Ortiz Slugs Way to MVP". ESPN. October 31, 2013. Retrieved October 21, 2013. ↑ "2014 World Series". Baseball-Reference. Sports Reference, LLC. Retrieved December 14, 2014. ↑ "Madison Bumgarner Statistics and History". Baseball-Reference. Sports Reference, LLC. Retrieved December 14, 2014. ↑ Fox Sports. "Kansas City Royals catcher Salvador Perez named World Series MVP". FOX Sports. Retrieved November 2, 2015. ↑ Trezza, Joe (November 2, 2016). "Zobrist's heroics net MVP honors". Major League Baseball Advanced Media. Retrieved November 3, 2016. ↑ Robinson, Joshua (October 9, 2009). "Live Analysis: Twins vs. Yankees". The New York Times. Retrieved October 23, 2009. ↑ "1956 World Series: Game 5; Three words: Larsen's Perfect Game". Major League Baseball. Retrieved October 2, 2009. 1 2 "All-time and Single-Season WS Batting Leaders". Baseball-Reference. Sports Reference, LLC. Retrieved October 3, 2009. 1 2 "World Series History: Most Valuable Players by Position". Major League Baseball. Retrieved October 3, 2009. ↑ Clemente was born in 1934 in Puerto Rico, which has been a U.S. territory since 1898 but has its own Olympic committee and national sports teams. Puerto Ricans were collectively given U.S. citizenship in 1917, but Puerto Ricans were not unequivocally granted U.S. citizenship by birth until a 1952 law that applied to all natives of the island born on or after April 11, 1899. (For more details on this issue, see United States nationality law and Jones–Shafroth Act.) Guerrero, a native of the Dominican Republic, is indisputably non-American. ↑ Boeck, Scott (June 25, 2010). "Reggie "Mr. October" Jackson thanks the Dodgers for his nickname". USA Today. Retrieved September 24, 2014. ↑ Bloom, Barry M. (October 29, 2007). "World Series MVP rewarding to Lowell". Major League Baseball. Retrieved October 8, 2009. ↑ "All-time and Single-Season WS Pitching Leaders". Baseball-Reference. Sports Reference, LLC. Retrieved October 3, 2009. ↑ "MLB Hall of Fame". ESPN. Retrieved October 29, 2009. ↑ "Matsui Becomes 1st Japanese-Born World Series MVP". The New York Times. Associated Press. November 5, 2009. Retrieved November 7, 2009. ↑ "Statsui: MVP delivers jaw-dropping numbers". Major League Baseball. Retrieved November 4, 2009. ↑ Armstrong, Jim (January 21, 2010). "Matsui backs idea of global World Series". The Japan Times. Retrieved May 8, 2010. ↑ "Most Valuable Player winners". Major League Baseball. Retrieved October 3, 2009. ↑ "Cy Young Award winners". Major League Baseball. Retrieved October 3, 2009. ↑ Bloom, Barry M. (October 30, 2008). "Perfect Hamels is World Series MVP". Major League Baseball. Retrieved October 3, 2009.